The Kimberley Process started in response to the trade in ‘conflict diamonds’ and ensuring that diamond purchases were not financing violence by rebel movements in South Africa. 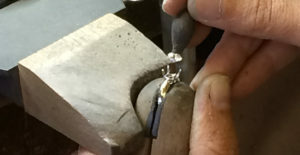 South African diamond-producing states met in Kimberley, South Africa, in May 2000 to discuss ways to stop the trade in ‘conflict diamonds’ and resulted in the United Nations General Assembly adopting a landmark resolution supporting the creation of an international certification scheme for rough diamonds. By November 2002, negotiations between governments, the international diamond industry and civil society organisations resulted in creation of the Kimberley Process Certification Scheme. 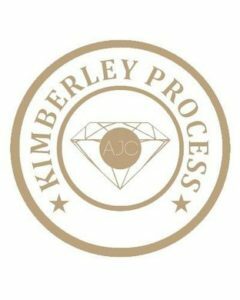 Kimberley Process members account for approximately 99.8% of the global productions of rough diamonds. I fully comply with the United Nations backed Kimberly Process Certification Scheme and refuse to use conflict diamonds. I also ensure all our suppliers provide us with written guarantees, ensuring they do the same.